Police War or War on Police? With the world on edge and society crumbling to pieces a “WAR ON POLICE” has begun that threatens the very foundation of American safety. No one is safe from the overwhelming threat of armed and dangerous street hooligans and their disregard for our way of life. Fear Mongering: the use of fear to influence the opinions and actions of others towards some specific end. With all the media coverage and fictitious declarations of a “war on police” being thrown around in recent weeks, it’s hard to see it any other way. Yet in reality, it just isn’t true. Any loss of life is an absolute tragedy, especially when it’s the brave men and women who risk their lives everyday to keep the people safe. However what is being said in much of the mainstream media, and the facts, are two completely different things. The American people are being subjected to an overwhelming manipulation of the truth intended to mold the collective perspective into a state of fear. Some of the most shameless of fabricators on either side, such as Fox News, or USA Today, use the tragedy of police deaths to incite outrage in their followers when in fact they are privy to the same statistics as the rest that clearly show 2015 is on track to be the second safest year for police ever, after 2013. Any amount of police homicide is unacceptable; yet when holding a post designed to put one directly in danger’s path it can unfortunately be, in some circumstances, almost inevitable. Yet, it is important to note that in terms of raw number of deaths, 2013 was the safest year for cops since World War II. Any loss of police life is an absolute tragedy, but when the loss of these officers lives, and their memories, are used in a devious fashion to further an unsympathetic agenda, therein lies the true tragedy. Many of the GOP presidential hopefuls such as Donald Trump, Ted Cruz, and Scott Walker, are sadly reciting the same misinformation. The Last American Vagabond does not lay claim to any affiliation, except the truth. Unfortunately this manipulation campaign is effectively controlling public opinion. A Rasmussen poll taken last week found that 58 percent of respondents now believe there is currently a “war on police.” Just 27 percent disagreed. Many police advocates will claim that 2014 saw an 80+ percent increase in homicides of cops over 2013. However, it is important to remember that 2013 was not just a low year for police fatalities, but an all-time low by a significant margin. The 2013 figure was so abnormally and historically low that even a small increase would look substantial when seen as a percentage. 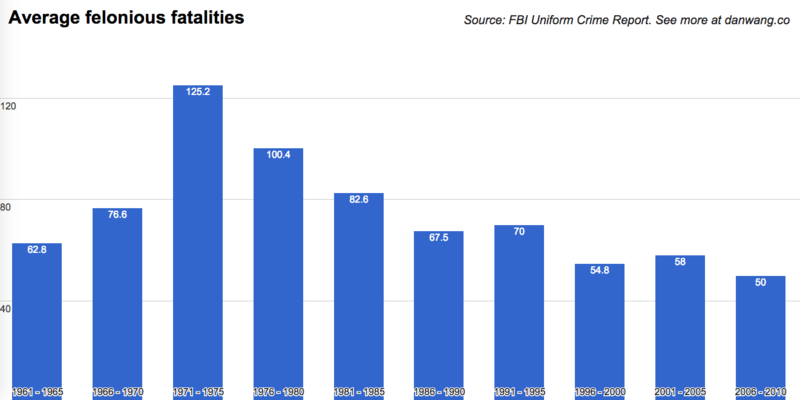 Then in 2014 the number of police homicides (51) were essentially consistent with the average for the previous five years, as well as lower than any five-year average going back to 1960. Again, 2015 is on pace to be lower (35 police homicides) than any year except 2013. A common response to these statistics is that the reduction in police fatalities is due to improved medical care and protective gear such as bullet proof vests. This is undeniably true, yet assaults on officers are also down. In other words, not only have there been less killings, there are fewer people trying to harm police officers in general. Some advocates attempt to counter these statistics by claiming that even if police assaults and killings are down, that anti-police rhetoric is increasing and therefore they are justified in proclaiming that there is a current “war on police.” This is completely absurd when one considers that the right to stand and speak out against one’s government is the defining characteristic of The United States of America, and is in fact the catalyst behind its creation. Police are government agencies in which the American people place their trust to make life and death decisions in the moment, so they deserve a certain level of understanding from the public when the opportunity to critique and criticize arises. However, the fact that they are a government agency allows the people the right to speak up (in the right forum, not street-side while an arrest is taking place) and criticize what they feel to be an injustice or a lack of the proper accountability and adherence to the law. Certain officials would have the public believe that the very act of speaking out against such topics is an affront and so-called “war” on police agencies in general. Yet the skepticism, criticism, forced transparency and general mistrust in current police conduct is happening during an all-time low of violence towards police. On the other end of the spectrum, the tally of people shot and killed by on-duty police officers passed 700 on Wednesday last week with the death of 32-year-old Florencio Chaidez, which is almost double the highest number of police shootings ever reported by the FBI for an entire year. Officers say the man produced a gun, however they have released few details and have not released body camera footage. The number of deaths has currently reached 712 and can be followed here. Officers are expected to respond in force when their lives are threatened, and many of these deaths are no doubt due to just such a circumstance, but whatever the cause, these numbers are a dangerous precedent to set. These statistics become even more shocking when compared to other countries such as Norway, in which officers have not killed anyone in nearly a decade. This does not take into account the differences in population size or other such comparative information, yet the complete lack of police violence is shocking when compared to the death count this country is currently seeing. According to a recent report conducted by Norway’s government, their police are far less likely to draw their weapons on suspects, and they are even less likely to actually shoot. In fact, the report found that Norway’s police only fired their guns in two situations last year, neither case resulting in a fatality. When discussing a topic of such consequence, it is important to consider every perspective. On one side there are groups inciting panic in the minds of the public and officers alike, with the concept of a “war on police.” An officer who feels threatened is much more likely to feel obligated to use deadly force. On the other side, with the statistics painting quite a clear picture, the general unrest and rebellious and disruptive behavior of bystanders is also directly responsible for creating a hostile environment for the honest police that are simply trying to do their jobs. In the end, it could be the very declaration of a “war on police” that is in turn causing the spike in police shootings of citizens. This country is witnessing a complete breakdown in its enforcement of law as violence becomes the mediator on either side. The nation finds itself in a downward spiral of savagery that all began with the misrepresentation of the facts by the very officials the people should have been able to trust with their lives.